When you hear the concept “Native Advertising”… do you automatically think of content marketing? What about the other way around? There are still a lot of people who get these two concepts mixed up, but if you want to be successful in digital marketing, it’s crucial to have them both crystal clear. This is why I would like to clarify the differences and similarities between content marketing and native advertising. Introduction: why is the distinction between content marketing and native advertising important? The digital marketing world is in a state of constant change and evolution. In order to not lose track of what’s going on, we have to be up to date, and continuously learning: whether through blogs, ebooks, courses, congresses…sometime I get the feeling we spend as much time learning new things as we do actually using them! In order to be able to understand each other, we digital marketers need to be speaking the same language and sometimes it doesn’t end up being that easy – it seems every day there are new concepts popping up. Over the last few years I have heard of customer media, branded content, custom publishing, custom content, native content, and the list goes on. What happens is that if we don’t use common names for what we are talking about, it becomes much more difficult to know what is going on, and which tools are appropriate for which situation. In other words, knowing what is what will help you get better results. Content Marketing is a marketing strategy that is based on continuously creating and distributing valuable, relevant and attractive content, to reach out to our target audience. As with other types of marketing, the ultimate goal is to influence the consumer to increase our sales. We are building trust, credibility and authority through a long-term relationship with the consumer. It has been gaining so much importance in the last years in fact, that it has even become an expression in the digital marketing world to say “content is king”. To distribute all this content, content marketing relies on owned media: personally owned places to share your content. The classic example of owned media is one’s own website or blog, but there are also personal channels on social networks and in other places; in this case, our profile or page would be our own property, but we have to adapt to the rules and regulations of each platform. Written articles. In most cases, the essence of a content strategy lies in creating a blog which is regularly updated with articles. It may seem easy… but the trick is in creating quality content week after week. Videos are quite a bit more difficult to pull together compared to written articles, but they are worth the investment. Video is becoming increasingly popular among users, including in mobile formats. One of the most common resources to generate leads, encouraging users to download them in exchange for their email address. Another classic that never goes out of style – they are a highly shareable and viral type of content. These “online radio” programs are an amazing way to anchor yourself in your clients’ day-to-day lives and win their loyalty. Memes and GIFs. The best kind of content is the kind users share of their own accord, which is why memes and GIFs are pure gold. Courses and webinars. Does your company have something to teach people? Don’t hesitate in sharing it! Whereas content marketing is based on “owned media”, native advertising is based on paying for others’ media space. Form this perspective, it seems more like other, more traditional advertising formats but careful! In this case we are not paying for a “banner-like” space, but to integrate our content in a way that blends in to the rest of the articles, videos or other items published on the page. One of my favorite examples is an article published by the New York Times about women in prison, to promote the TV series Orange is the New Black. In content marketing we have to build our own audience and draw it towards our own channels, which is generally a long and costly process (although the advertising itself is free, it requires a large investment of time and resources). On the other hand, with native advertising we pay to access another entity’s audience. This allows us to save a large amount of time and resources, and results are more immediate. Logically, the ideal if for this entity’s followers to coincide with our target audience. These two methods have have discovered non intrusive ways to get close to their consumers and, as opposed to more traditional and intrusive ads, they strive to create advertising that users actually want to see. For you to use these techniques even better than ever this year, today we are going to talk about the similarities and differences between content marketing and native advertising, and take a look at the best marketing practices to make the most of them. 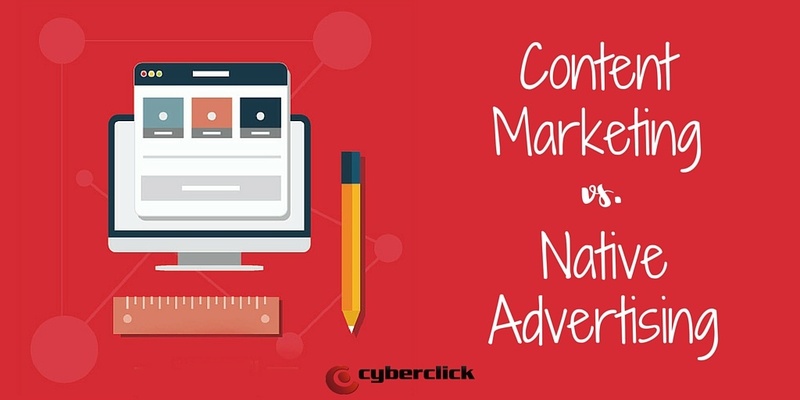 As we have already mentioned, both are strategies that work to reach out to the user via content that is not obviously promotional, and that attempt to naturally blend into the navigators experience - basically, adblock-proof ads. But what are the differences between the two? To put it in very simple terms, I like to say that native advertising is more like a date, whereas content marketing is more like an engagement. In Native Advertising, the goal is to integrate a piece of content into an environment that is in sync with our brand’s tone and objectives. The content is seen as “just another article” (or video, infographic, etc. ), within the editorial line. In other words, much like on a date, native advertising is our chance to impress. We choose the perfect restaurant, a nice wine, some candle light, and get all dressed up. The goal is, of course, to seduce the consumer… but the first date is just the beginning. Content Marketing, on the other hand, has a much wider range. It is not limited to just one technique or special occasion, but rather a series of tools and material which we use to build a long-term relationship with consumers. Your content marketing strategy for next year can include, for example, publishing guest authors’ articles on your blog, video interviews with important people from your sector, infographics, case studies, etc. The goal is to gain the user’s trust and establish yourself as a reliable source of information in your sector. Tag your content well. Not only will you make search engine’s and your users’ lives easier, but your own as well, when creating content. Create content that blends into your users’ lives. The goal is that users share your content with their contacts, as part of their day, their jobs, their personal lives. Create content that is not only of high quality, but that means something to your audience. You can choose to solve a problem or need of theirs, make them laugh like crazy, inspire them or move them, but always remember that, to be remembered amidst the sea of information on social network, you can not leave them indifferent towards you. Don’t overuse the sensational and moving titles. Let’s be honest, we are all tired of those “You will never guess what will happens next” clickbaits. Instead of these, look for titles that catch people’s eyes, but that are original. And be sure never to forget that a title is a promise that your article then has to live up to, so don’t disappoint! Align your content with your business objectives. For your content strategy to be successful, you need to know exactly how you are going to measure your results: what is it that you want users to do after they read your article (or watch your video)? Once you know your goal, you can design your content to subtly guide your users towards it. Publish practical content that will be useful to your users. The best content is that that encourages the reader to take immediate action, without having to invest too much effort or money to see results. Don’t only create articles based on duplicated or affiliate content. 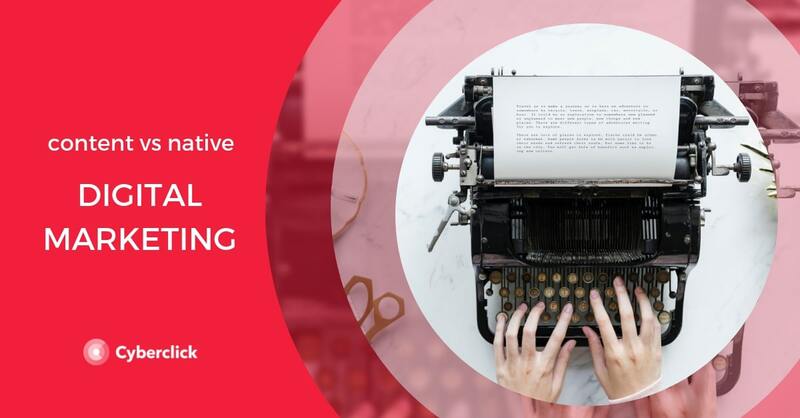 Content creation can be useful to maximize your marketing efforts, but if you really want to connect with your users, you need to be original. Emotionally connect with your audience. Aristotle said it back in his time: one of the best ways to get people to act is via pathos, by appealing to their emotions. When used intelligently, this technique can change user’s behavior and opinions, stimulating trust and loyalty towards brands that they connect with on an emotional level, and in terms of values. Don’t cheat! Ads or images that try to pass off as organic content may be a way to quickly increase your click count, but will harm you in the long run. Tell unique stories. If you want to create an unforgettable brand, you will have to tie it to unique values and personality.And there is nothing better than storytelling to get users to connect to your values and personality. Blend into the rest of the content being consumed by your target. Whether with an article on their favorite media, or an image on their Twitter timeline, your content should not stand out in the “bad sense” – they should not be perceived as “traditional” ads. In the age of adblocks, the user holds the power, so use all your creativity to create content they actually want to see.